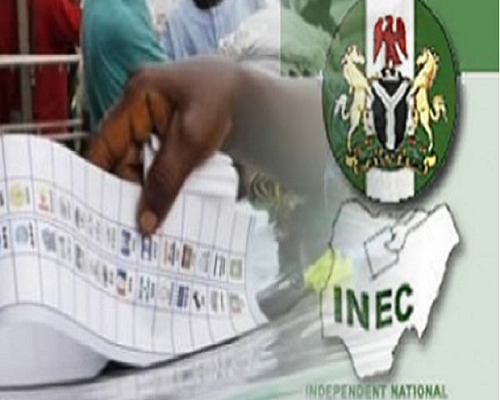 The Peoples Democratic Party (PDP) has kicked against against a central collation centre set up by the Independent National Electoral Commission (INEC) for the collation of results in the 2019 general elections. The national chairman of the PDP, Prince Uche Secondus, has asked INEC to dismantle the centralized collation centre saying it’s tantamount to rigging the election even before the votes are cast. Speaking at the PDP presidential rally in Kebbi on Sunday, the party chair said that the creation of central collation centre by the INEC Chairman, Prof Mahmood Yakubu was meant to serve the needs of the ruling All Progressives Congress (APC) in a bid to manipulate the polls. Secondus said that Prof Yakubu has succumbed to pressure from the APC to have a central collation centre away from the usual practice in the past, just to creat room for rigging. The party chair said that names of people who will handle the collation are being handed down to INEC whose leadership appears to be lacking in strong will to resist pressure from the APC. He accused the electoral body of secretly compiling names of APC sympathizers, stressing that the leadership of INEC has succumbed to pressure from APC. Prince Secondus reiterated his earlier position that Nigerians will not accept a rigged election and will do everything humanly possible to resist the thwarting of the will of the people. He added that the APC has been rejected by Nigerians because they were given the mandate to change the country for good but their three years reign has ended up breeding hunger, poverty and unemployment in an unprecedented manner in the land. Addressing the gathering of party supporters, Secondus said, “The candidate we are presenting to you has all it takes to run a solid administration. He has been tested and tried both in private and public sectors and he will provide food on your table as well as create jobs for youths of Nigeria. The PDP presidential candidate, Atiku Abubakar, also assured the people that a PDP Presidency will ameliorate their suffering, create jobs, and end their hunger and insecurity. The Senate President and the Director General of the party’s campaign council, Dr. Bukola Saraki, urged the people to kick out poverty by voting PDP in all the elections. The Governor of Sokoto State, Aminu Tambuwal who also attended the rally, urged the people to vote right by electing PDP candidates all the way.